Track and share bills and expenses. 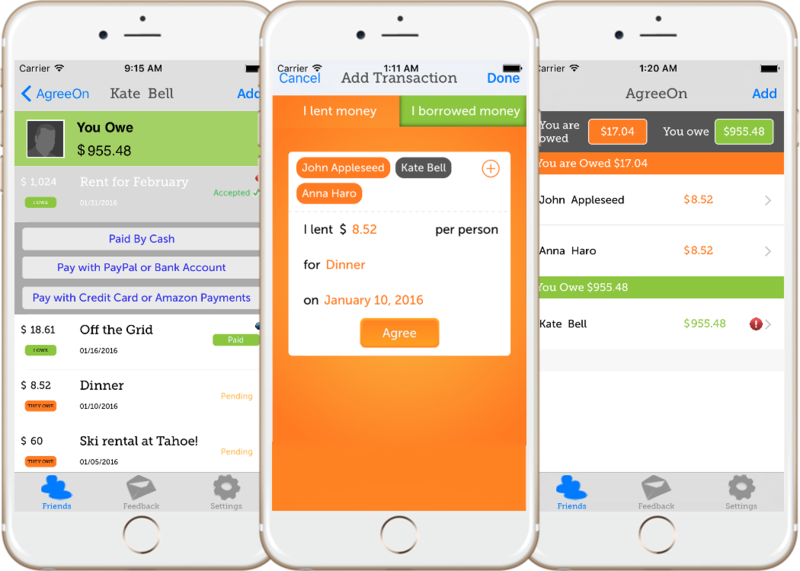 It's perfect for roommates to split rent, utilities, and groceries. Getting paid back has never been so easy! © 2016 AgreeOn. All rights reserved.